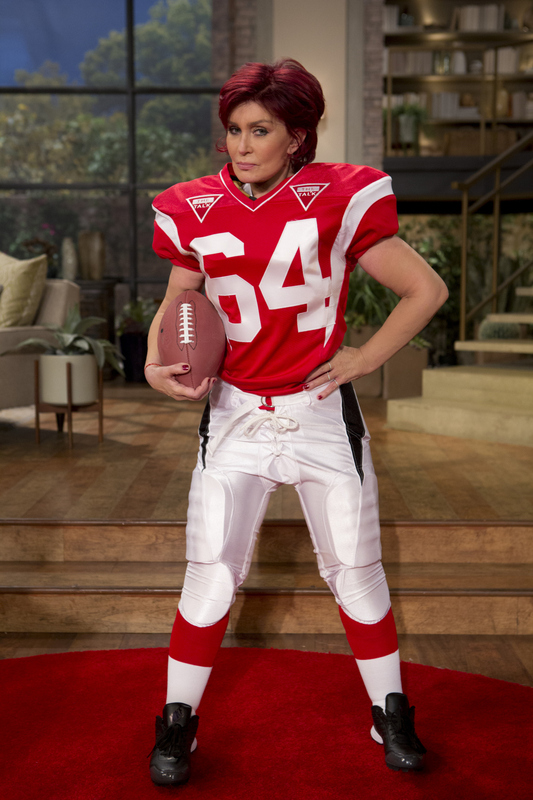 THE TALK hosts are suited up for Super Bowl XLVII! CBS's daytime talk show is headed to the Big Easy starting the week of January 28th. Train will be the show's official house band and guests include "How I Met Your Mother" star Neil Patrick Harris, "The Late Late Show with Craig " Craig Ferguson, chef Emeril Lagasse, omg! Insider's Kevin Frazier and much more. Sharon Osbourne, shown. Photo: Cliff Lipson/CBS ©2013 CBS Broadcasting, Inc. All Rights Reserved.